Red Beans and Rice Recipe is the perfect kidney beans recipe filled with all of the classic Southern creole flavors throughout. 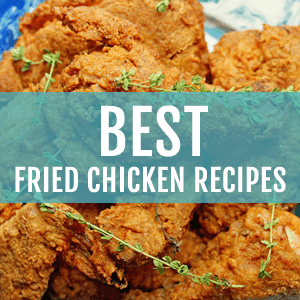 This is an awesome addition to your favorite cajun recipes. 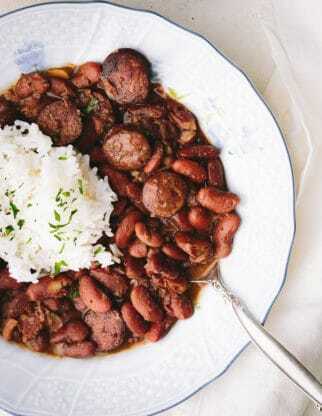 This Red beans and rice recipe is a soulful dish. I love to watch the beans simmer away in a pot of spices and intense flavors gradually thickening and melding together in the most magical way. 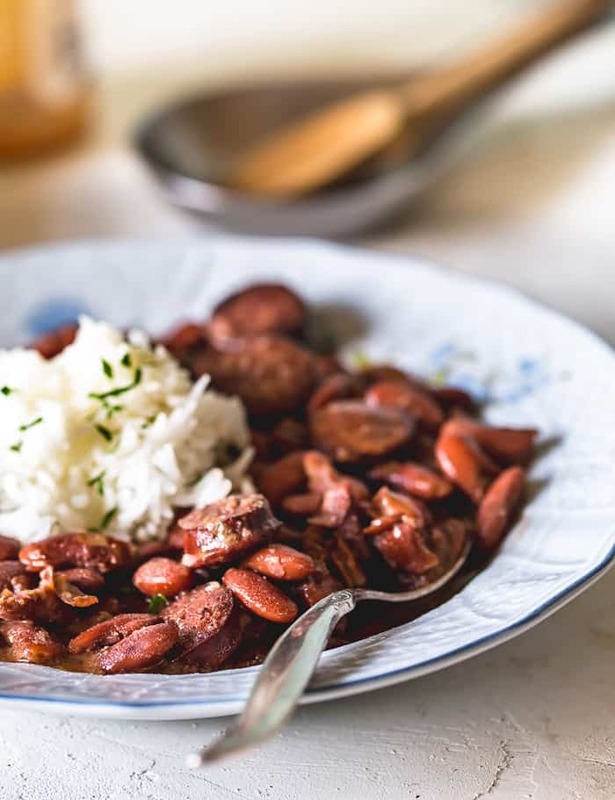 Once ready, this kidney beans recipe is smothered with rice, and your first taste is the reward for your patience. I grew up eating all types of beans. My mother is the queen of crock pot bean meals. From lima beans and pinto beans to red beans, we had them all and very regularly too. Red beans have a personality all their own, and the South really knows how to bring that personality out. I never really appreciated my mother’s consistent bean meals until later in life when I began making them myself. I was 25 when I made my first pot of red beans. After the first pot, I was hooked. I loved the fact that the beans cooked on a low heat and after a few hours, just came together without much effort on my part beyond the initial prep. I also loved how healthy beans are. Each time I had them as a meal, the fiber totally filled me up. I was totally satisfied while eating less which was a good thing for my scale and waistline. And lastly, this red beans and rice recipe just tastes so damn good y’all. A big bowl is about as comforting as a meal can get. With a trinity of celery, onions, and bell peppers, a dose of creole spices and andouille sausage (I use Sausages by Amylo’s chicken andouille flavor) and a heaping scoop of rice (I make this with brown rice usually to keep it even healthier), this is a meal that’s not only good for the body but oh so good for the soul. If you are craving more cajun recipes, try my Shrimp Etouffee or my Cajun Jambalaya Pasta or try my Cajun Seasoning or these Stuffed Cabbage Rolls. 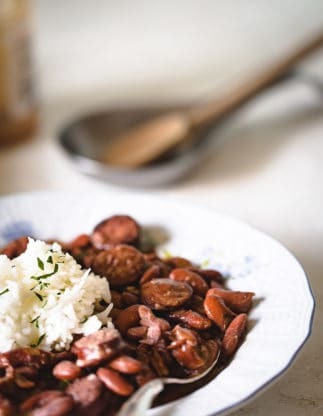 Classic Cajun red beans and rice with all of the classic Southern creole flavors throughout. So delicious! So comforting! So soulful! In a large pot, heat olive oil over medium heat. Add chopped onions, celery and bell peppers and cook about 10-12 minutes or until they begin to caramelize and tenderize. Next add in sausage and brown for about 4-5 minutes. Add in minced garlic and cook for 1 minute making sure not to burn. Turn heat up to medium high and add chicken stock, water, worcestershire sauce, hot sauce, creole seasoning, salt and pepper then stir in red beans. Bring liquid to a boil then turn heat down to low, cover with lid and cook for 2 - 2½ hours until beans are tender and liquid as thickened. Check flavor of beans and season with salt and pepper to taste, stir and turn off heat. Let cool for 15 minutes and allow beans to continue thickening. Serve with rice. 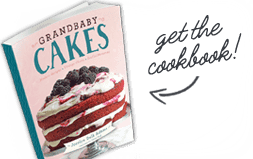 Follow Jocelyn (Grandbaby Cakes)’s board Dinners to try on Pinterest. Amazing recipe! I saw a lot of recipes, but some of them didn’t look so authentic and I’m picky. This one is spot on and came out perfect. I especially like the Worcestershire sauce in this. The flavor, spices and texture reminded me of my first bowl of red beans and rice when I was in in college in Jackson, MS. I will definitely keep this recipe. BTW…I also decided to make biscuits to go along…the way I had it back then. Fantastic!!! That makes me so happy Patrick. this recipe is easily prepared at home.beans and rice always my favorite. 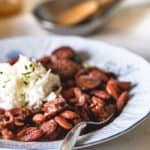 How would I adjust the red beans if I’m using canned ones instead of dry beans? You can just adjust the cooking time. Thank you! 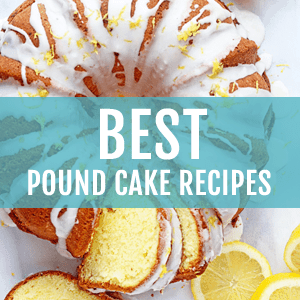 I just found this amazing recipe of yours. I have a CASE of kidney beans from Costco, I wanted to use them up. I’ll try adjusting the cooking time! Absolutely amazing Best dish I have made from Pinterest. I didn’t make a single change. Quickly became family favorite. Hooray thanks so much! I’m so glad you enjoyed this! This is the best recipe ! Love the flavor so easy to make! Thank you for sharing. My family loved it. I just found your recipe after my boyfriend said he wanted red beans and rice for dinner, and I had never made it before. He DEVOURED it!! I was curious, though, because after letting it simmer for 2.5 hours, it wasn’t thickening at all. I followed each step and didn’t do anything different. Have you come across this problem before, and if so, what did you do to fix it? My entire house smelled amazing, and it tasted great, it just came out as more of a soup. Hi Rachel, thanks for writing to me! I’m so glad your boyfriend enjoyed it! I haven’t had that issue however what you can do is add a little cornstarch or flour to help thicken it up next time. Let me know how that works for you. Take about a bowl-full of beans out and mash them against the side of the bowl. Add back to pot. This will thicken up the beans. Mash more as needed. A New Orleans trick! can i do this recipe in a crockpot? Is there a way to make this in a slow cooker after sauteing the trinity? Yes you can definitely make it in a slow cooker. Let me know how it turns out. Just got back from a New Orleans Christmas vacation and have been scouting a good red beans and rice recipe. This is it! Thank you for sharing – perfect on this cold Midwestern night and makes me think of NOLA. Making red beans and rice as I type. Not your recipe though, I already had them cooking when I found yours. But I am gonna try your recipe next time! I bought shrimp today, was gonna make gumbo in a day or two, but I am gonna try your shrimp etouffee instead…it sounds delicious. Hi Jeff, let me know how it turns out! Do you think it was taste fine without the sausage? I’m trying go more vegetarian these days. I think the flavor will definitely be different but sure! Try it out! Hi Jocelyn, I made your red beans and rice recipe last week. They were delicious. My husband said, “I think these are the best beans I have ever eaten.” That is high praise indeed. We have been married 37 years and I have always made pinto beans or great northern beans, with fried potatoes and cornbread. He really loves those, but he has never said that before. Thank you and now I am looking for the perfect recipe for Southern biscuits. I haven’t checked your site for a biscuit recipe, but I will now. Wow I’m so glad you enjoyed it!!!! 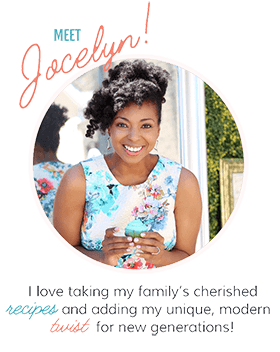 Hi Jocelyn, I just found your blog and your recipe for red beans and rice. I am making them today, and I can’t wait to taste them. I love your blog. My son and daughter-in-law celebrated their 10th anniversary in New Orleans. I had the privilege of staying with my 7 year old grandson while they were gone. They married in 2005 and were supposed to honeymoon in New Orleans, but unfortunately, that is when hurricane Katrina devastated New Orleans, so they went to the wine country in CA instead. They had such a wonderful trip and love the food. I am making this dish for my husband and myself today, and for them this weekend! Of all the many recipes for this on pinterest, yours looks the best. 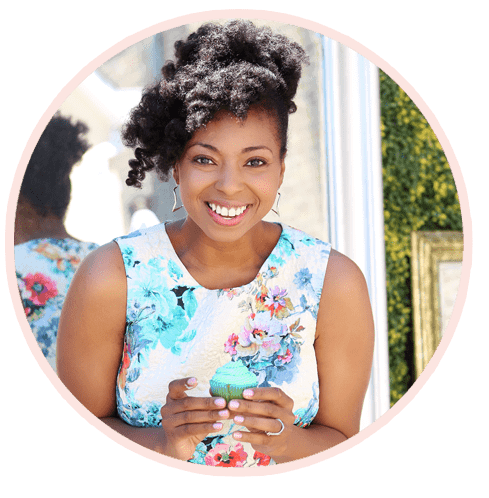 I am so happy I found your blog. Your grandma must be so proud of you. I wish you many blessing in 2016! Wow this is beautiful Pamela. Thank you for writing this to me. I hope you enjoyed the recipe. Made it today – delicious!!! This recipe looks amazing!! What creole seasoning do you use? I wouldn’t know what to buy at the store. Thanks! Thanks so much! I personally love Tony Chachere’s! its like indian dish…. rice and red beans, as i said before that your recipes are very similar to indian recipes. Hello, how are you? I plan to make either the Cajun Red Beans & Rice, or the Shrimp Etoufee. but I’m confused about the peppers I’m suppose to buy. The Cajun Red Beans & Rice recipes requires bell peppers, are those green or red bell peppers? At the same time, the Shrimp Etoufee requires green peppers is that the same as a green bell pepper? Thank you for your time, and assistance. Yes those are the same green bell peppers for both. Let me know how they turn out for you. We’ve been eating a lot of beans this year and I just finished a big pot of red beans, in fact. I agree that beans are both delicious and healthy. Great post, Jocelyn! This is what a big bowl of comfort looks like! This brings back so many memories. LOVE IT! I really enjoy good red bean and rice dish. Served up with a side of salad and cold beer is divine. Thanks for sharing. A cold beer would be quite nice with this indeed. This dish looks fan-freaking-tastic. Mucho flavor. Pinned. Oh yeah thanks so much Jennie! Oh yummy. Black beans are pretty spectacular too girl! Thank you Marcie. Completely comfort in a bowl! Oooh how I love red bean and rice! I know this is dee-licious! OMG – I love cajun (and anything southern food). Looks so comforting and delicious. And Shrimp Etouffee is on my list for this week, along with your chicken marsala. Yummm! Oh that shrimp etouffee is definitely a big favorite of mine. I am sure you will enjoy it! Oh yeah completely worth it. Oh yeah girl we would eat our beans throughout the week too. PS: You’re beautiful too haha. Oh I love rajma chawal. Actually I love all Indian food! I would love a bowl of that right now! Yes! This is definitely comfort food. I love it! Awesome dish! The first time I had Cajun food was in Colorado actually, just last year. This place called the Lost Cajun and it has rave reviews. All of the owners and chefs came from Louisiana. It as pretty awesome! I think my boyfriend would like it if I recreated these dishes at home! Oh yeah there is seriously nothing like cajun food. I am an addict for life! Soulful is the perfect description for this, absolutely love the flavors! I love bean recipes also! Plus they are so cheap, its a good meat replacement if you are on a budget. This recipe looks so good! Yes I love how economical they are too. And I seriously eat leftovers from a full pot all week! Girl same here. Comfort food at its very best right? Fantastic!! I am SUCH a big fan of red beans and rice! I have got to try this! J, I lovvvvvveeeeee red beans and rice!!! now that you mention it, I can’t remember when I ate them for the first time but dude, I love that I now have a recipe to try!!! Oh yeah girlfriend. Oh yeah! Red beans and rice! Yes! I love slow cooked meals like this. They come out tasting incredible! Yes they totally do Jen! Don’t forget a spoon girl! Let’s dig in! Yeah! Red beans and rice. Looks delicious. Thanx for posting it. Thanks so much my dear. Girl I love them too!